If you’ve been to Walt Disney World in Florida more times than you can count and finally want to make the trek out west to visit Disneyland in California, you may have heard some things about what to expect. You know the experience won’t be the exact same as its Orlando counterpart. It’ll be different, but… how different? What are the similarities? What are the opposites? What’s going to throw you completely for a loop? Here are the top culture shocks that Walt Disney World vets will come face to face with when visiting Disneyland. Due to a complicated legality in Universal’s existing relationship with Marvel prior to Disney’s Marvel purchase, most characters featured in current Marvel Cinematic Universe films are not allowed to be used at Walt Disney World. Any other Disney destination is fair game, though. This makes seeing our favorite super heroes in all their glory at Disney California Adventure a surprising jolt. Florida regulars have never seen these characters in action like this before, and that’s exciting. It is strange and surreal to stand in Hollywoodland with the Avengers theme music blaring loudly through the atmosphere, see Gamora hold a character greeting nearby, notice Loki literally running throughout the street a few yards away, and wave to Captain America as his truck drives by mere moments later. It’s the promise of something much bigger to come for DCA in the future, but in comparison to the level of existing Marvel presence at WDW (read: nearly none), it’s pretty cool to be immersed in such a Marvel-heavy area based on Disney’s film versions of these characters. In comparison to Magic Kingdom‘s specialties of high-budget production and big, booming spectacles, the music entertainment roster at Disneyland takes on a more Epcot-like approach, consisting of many smaller groups of live performers. You might meander through New Orleans Square and happen upon a jazz band adjacent to the river. You could stroll past Sleeping Beauty Castle to find Mary Poppins and the Pearly Band serenading the passersby with “Jolly Holiday.” There is music around every corner. 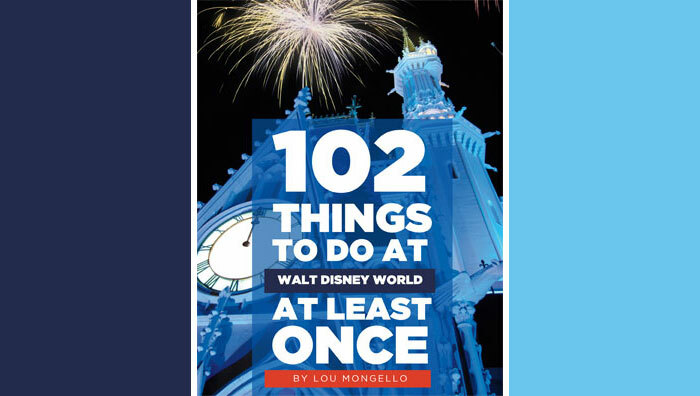 Disneyland is considerably smaller than Walt Disney World, and without getting ahead of ourselves into a topic further down this list, the small size presents a few precarious situations when faced with modern necessities of crowd operations in a theme park. Security is one such scenario that struggles to maintain efficiency when the masses come. When arriving to the parks, prepare for a long security line in a way you have never experienced in Florida, especially if you arrive in the prime morning hours shortly after the park has opened its gates. (I waited 45 minutes for the security line at 9:45 a.m.) If you arrive prior to park opening, things aren’t as bad. It’s important to remember that Disneyland was the first go-round for any Disney theme park ever, and as such some of the amenities implemented in later resorts don’t exist here. One of these is the Utilidors, the first floor of Magic Kingdom that acts as an “underground” network for backstage access and facilities. The Utilidors (and other non-lower-level but equally hidden and planned backstage areas at Disney’s three other Florida parks) help keep Cast Members and their sometimes non-magical workplace responsibilities out of sight from Guests. There is no such barrier at Disneyland. You’ll see Cast Members off the clock outside the park, and perhaps even cross the street with some. You’ll see them carrying their backpacks to work. You’ll see them roaming lands that don’t match their costumes. And while in comparison to Florida, this may take away some of the immersive nature of the resort, it’s also something that simply must be accepted. Cast Members are people, too, and they’ve gotta get to their post somehow. It’s just the way things are. In Florida, it can feel like passing an act of Congress trying to get a family photo with a favorite character. Characters are extremely popular and often command equal if not longer waits than some of the rides. Some character locations even offer FastPasses. At Disneyland, a few spots have formal lines and can take a while, but most of the time characters are out and about, in the “wild,” so to speak. Mickey poses for pictures on Main Street with only a small crowd gathered around him. (Can you IMAGINE if he did the same thing on Florida’s Main Street, U.S.A?) Other times they actually roam around, not holding a formal line and (this astounds me) not accompanied by an attendant. You may be in a teacup next to Alice and the Mad Hatter. You may ride King Arthur Carrousel with Belle and Beast. You might get spooked in a New Orleans Square shop by Dr. Facilier. You may even (speaking from experience on this one) be on the raft to Tom Sawyer Island only to be bombarded by Captain Jack Sparrow, screaming, “Everyone stay calm, I am taking over the ship! …boat… raft… I am taking over the raft!” Characters are out late, too. Exiting the park at 11:30 p.m., I found Pluto trying to send a letter through the post office box in Town Square and Minnie nearby conversing with the Cast Member at a popcorn cart. As hinted above, the most significant culture shock in Disneyland for the Walt Disney World veteran is the dramatic difference in the size of the two resorts. Walt Disney World, with its four theme parks, over two dozen hotels, two water parks, and collection of recreational activities, is 27,000 acres — twice the size of Manhattan and equivalent to the city of San Francisco. It’s gargantuan, and rightfully feels like its own world when within it. The same expectation can simply not be placed onto Disneyland, whose 500 acres is impressive as a resort destination but is obviously in a completely different ballpark and, as such, dictates a different feel. As a resort as a whole, this means everything is compact and easily accessible, never far away from anything in particular. Within the parks, this makes for congested walkways and overcrowded attractions. During the peak times of the day, Disneyland can be difficult to navigate. That’s not to say Walt Disney World is always blissful and uncrowded, but Florida does have infrastructure built to keep people flowing. Disneyland doesn’t. On the other hand, though, the intimacy of Disneyland creates an experience simply not found anywhere in Walt Disney World. It is a charming, stripped-back degree of simpleness indicative of the era in which it was built — Walt Disney’s era. How will all this change? It’s no secret that Disneyland is expanding, and it’s about to introduce its most ambitious slate of new attractions in years. 2019 will see the opening of Star Wars: Galaxy’s Edge, with 2020 following with the aforementioned Marvel-themed land. Both areas will be huge draws for the resort, and could have the potential to change things up, especially for the original namesake park, where a galaxy far, far away could require operational changes at a level unseen thus far. In any case, Disneyland is unarguably in the middle of a transition. Here’s hoping the future, even if it has to adapt to accommodate swelling popularity, can retain the vintage magic that has always made Disneyland such a special and unique place. 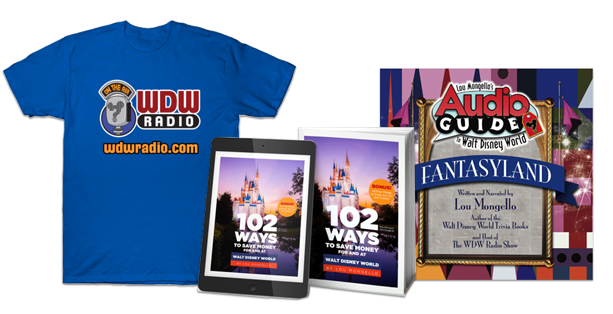 Have you visited both Disneyland and Walt Disney World? What were the biggest surprises for you about either destination?